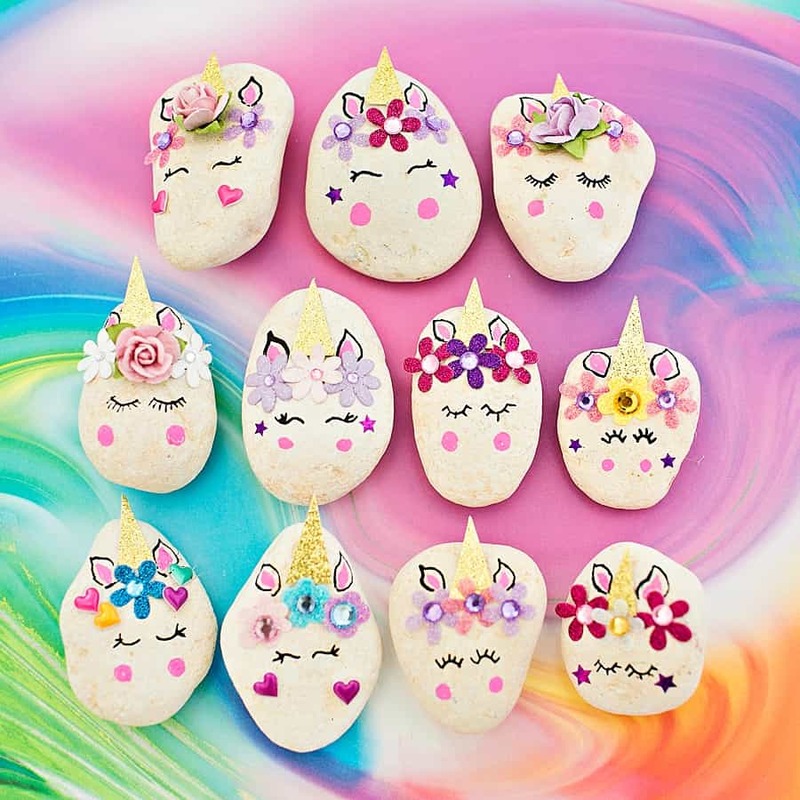 Unicorn rocks that are magical and fun and perfect for hiding, gifting, or just spreading smiles. 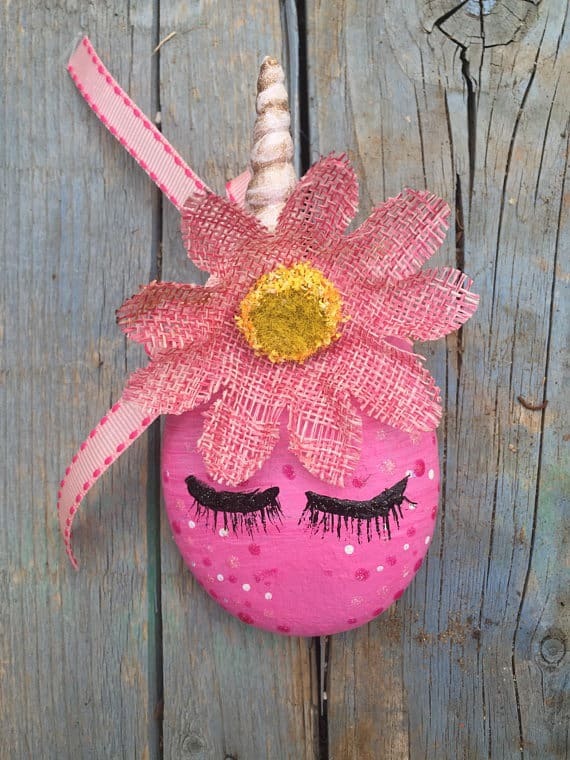 Seriously, who doesn’t love unicorns?!? They are happy and fun and just magical! 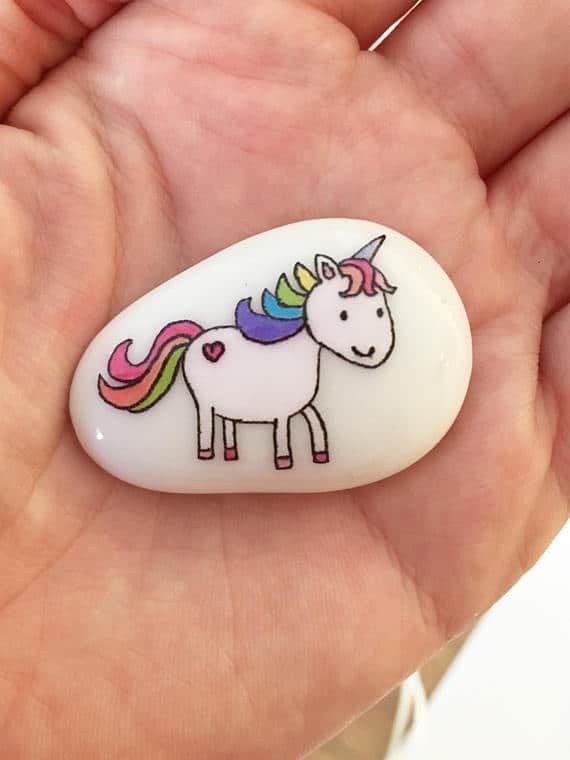 If you’re looking for tutorials, trying to find inspiration, or just want to see a bunch of beautiful unicorn rocks; you’ve come to the right place! 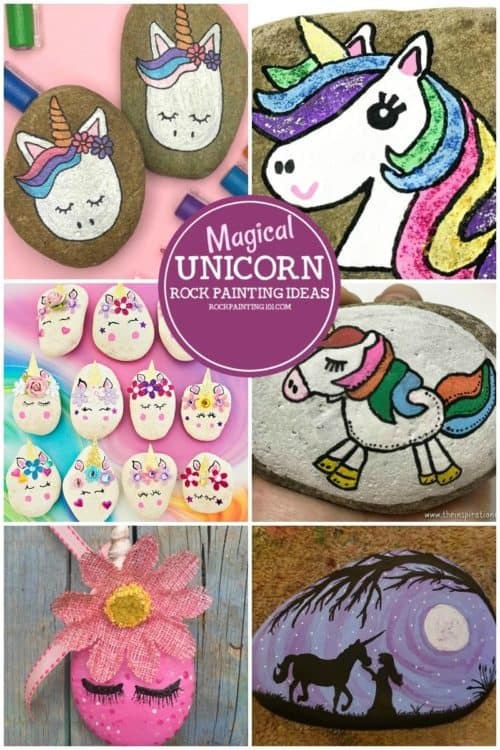 This collection of unicorn stone painting ideas will inspire all skill levels! 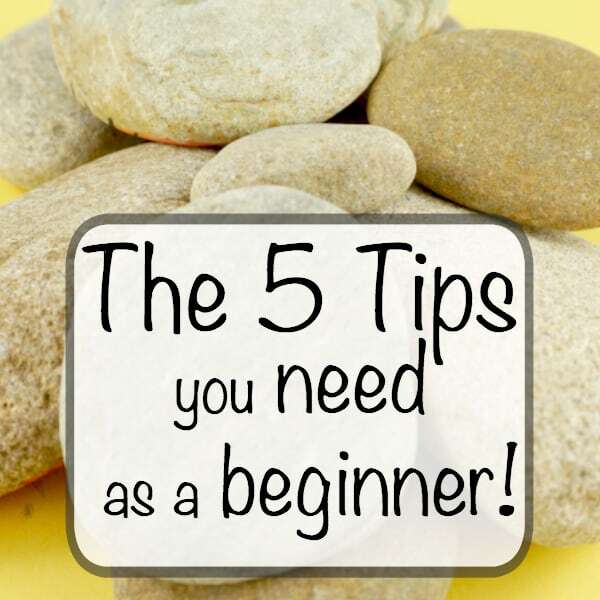 From simple tutorials to just grabbing an SVG. You’ll find an idea for you. 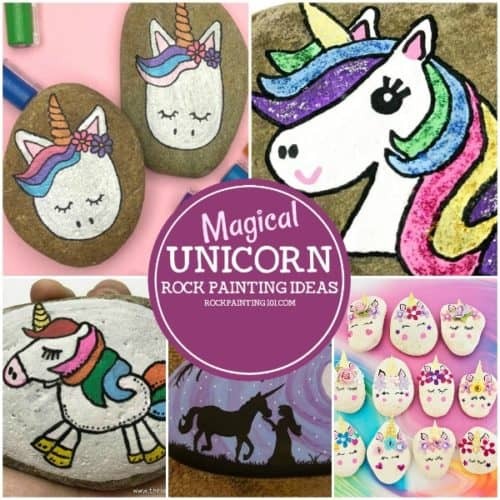 These magical unicorn rock painting ideas are sure to inspire. Which one will you paint first? 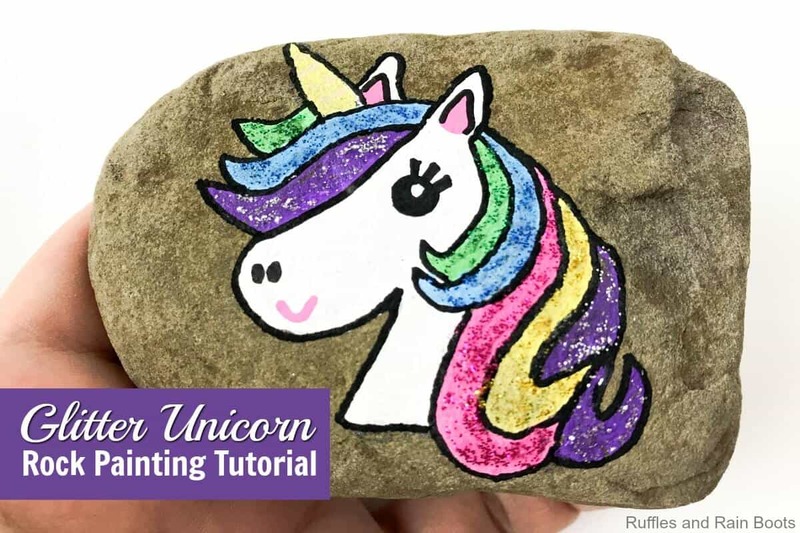 Learn how to paint a unicorn onto rocks with this fun tutorial! A twist to the 100% painted technique. Love! 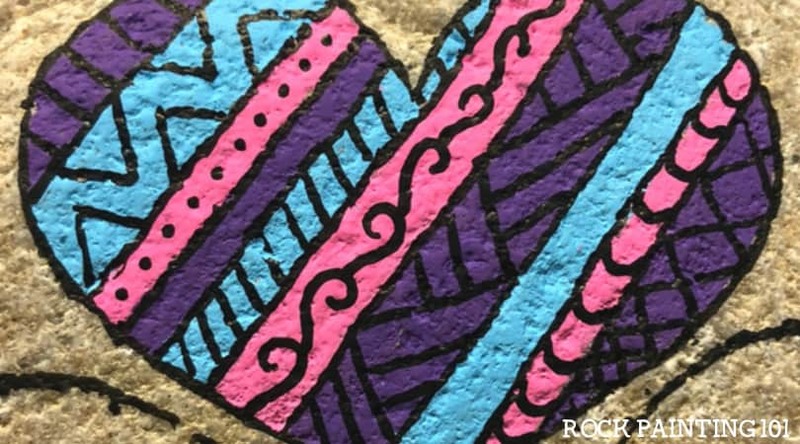 Check out how she sketched her design before she started painting. 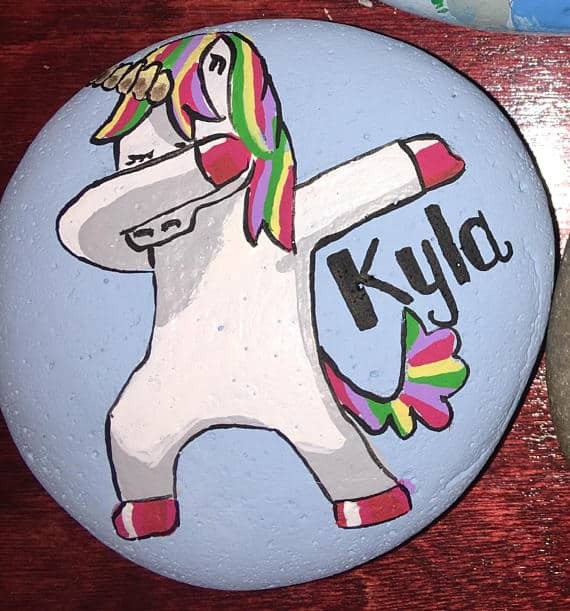 Put a little dab on this painted unicorn rock. 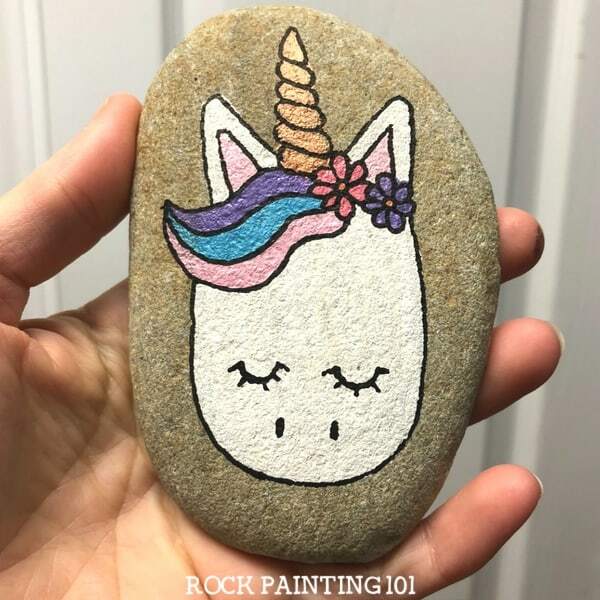 This happy painted unicorn is perfect for an afternoon of stone painting! 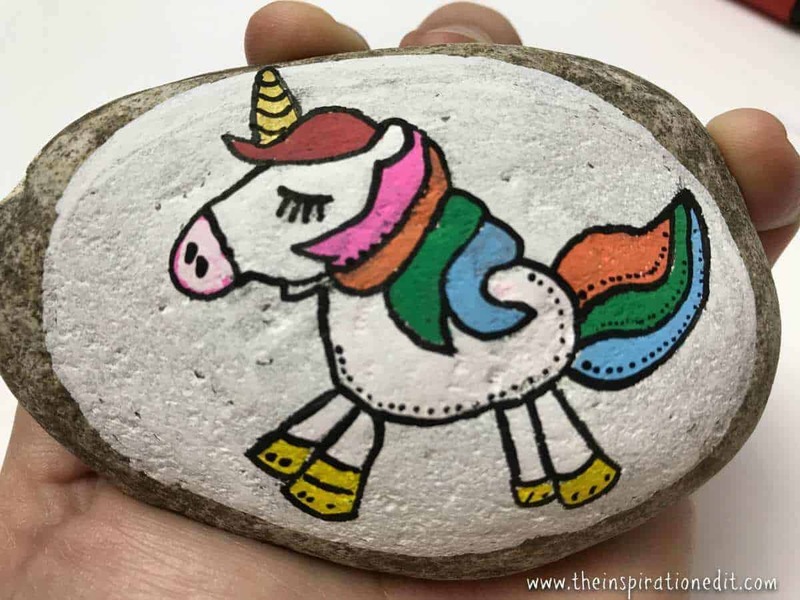 Loving the embellishments added to this decorated rock! 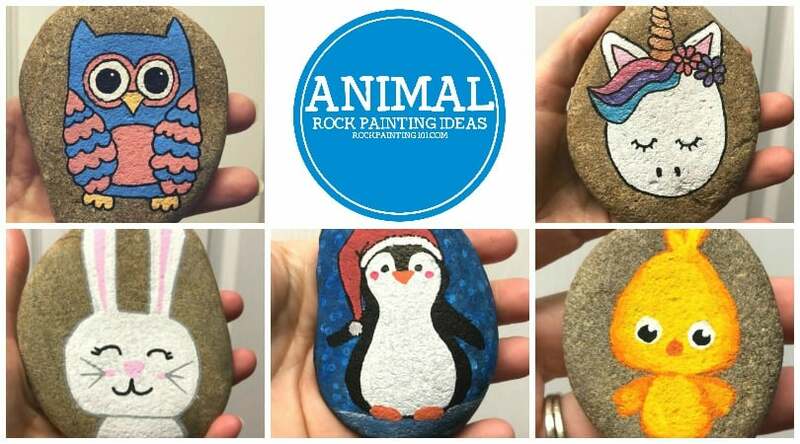 Story stones add some fun to your rock painting hobby. 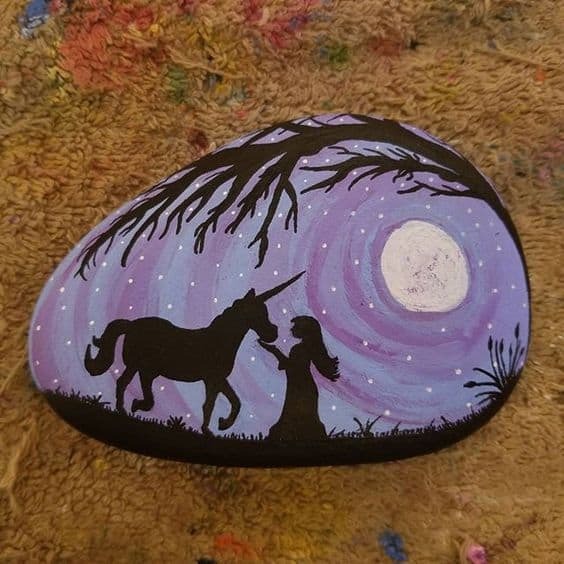 I love this unicorn silhouette! 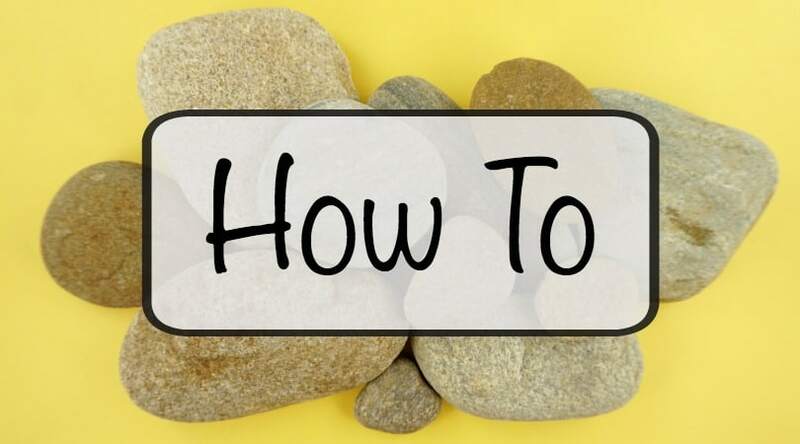 Drawing not your forte? Use templates instead! 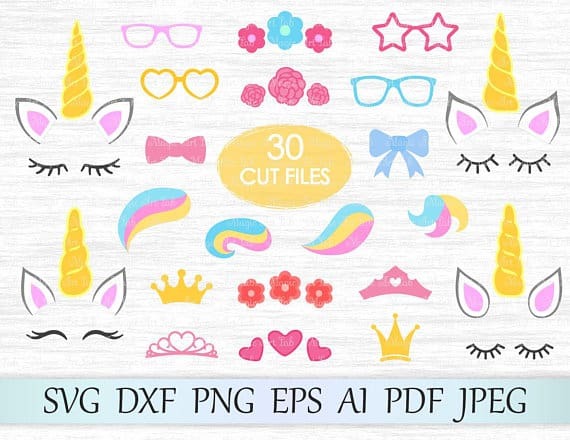 We’re loving this unicorn kit! 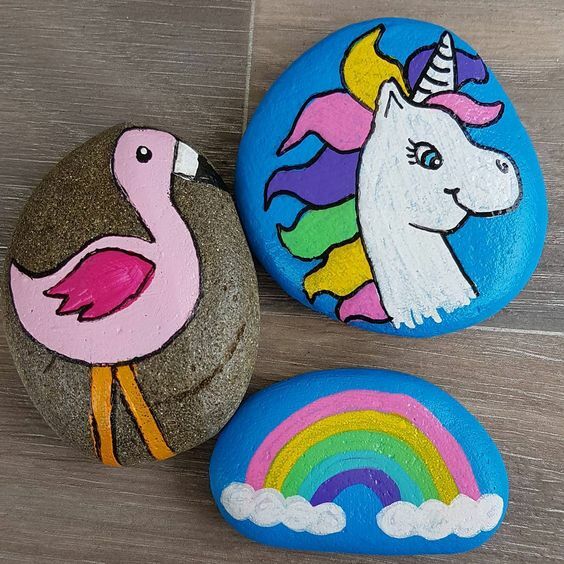 I hope you enjoyed this collection of unicorn painted rocks! 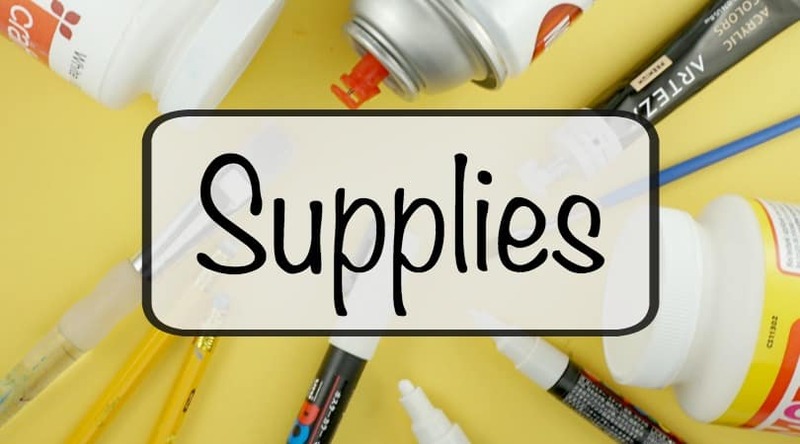 How many of these fun ideas will you be hiding in your city? I’ll continue to add to this collection whenever I find a fun new rock, so make sure to check back!